lindsey Williams, an ordained Baptist minister went to Alaska in 1970 as a missionary. While in Alaska, Pastor Williams found out about the Trans-Alaska oil pipeline, which began construction on 29th April 1974. Because of Pastor Williams’ love for the USA and concern for the spiritual welfare of the over 25,000 workers on the pipeline, he volunteered to serve as Chaplain on the pipeline, with the full support of the Alyeska Pipeline Company. Pastor Williams was given the northern 7 out of the 28 construction camps including the oil field at Prudhoe Bay to hold worship services at the 7 camps once a day. After six months a PR employee at Alyeska Pipeline Company told Pastor Lindsey Williams that he was an invaluable asset to the company. He said that Lindsey was saving the oil pipeline company thousands of dollars of counselling fees and had voted successfully to give Pastor Williams executive status if he wished to accept it. Executive status meant that Lindsey Williams could go anywhere he liked and see anything he wanted regarding the pipeline operation. They gave him a vehicle and an executive pass and he was also invited to sit in on board meetings in an advisory capacity in order to help the relationship between management and labour. For three years Pastor Lindsey Williams had the opportunity to sit, live and rub shoulders with the most powerful, controlling and manipulative men on the face of this planet. What can be expected for 2015. All the Elite agendas. My Elite friend just briefed me on everything that can be expected for 2015. All the Elite agendas. I can keep quiet no longer. I must tell everything. As our readers know – I have been quiet for nine months. I cannot stand by and watch certain things happen in 2015 and not tell you in advance. 2015 will be the most eventful year you and I have ever lived. “A while back I mentioned that my Elite friend was traveling for a few months. He and his wife JUST arrived back home. I just received an email from him. It was startling beyond words. I have received an update from Pastor Williams who has told me “I do have some very interesting NEW information. The statement by my Elite friend which you posted has been confirmed by two other people – My Wall Street insider and a visionary (Christian) in Connecticut. I have been given the plans (Agenda) of the Elite for 2015. Multiply the events of 2008 many times over and that is what is about to happen. Hopefully I will have a statement before long. I am trying to decide how to tell it. The Elite are ready to bring in the New World Order in its entirety. Pastor Williams has sent me a number of articles and links that I feel you should be aware of, one is to a video from Larry Edelson that talks about the coming bull market in gold. The video has been taken down now. My own personal thoughts on the video are that it doesn’t go far enough and doesn’t touch on the subject of precious metals market manipulation. 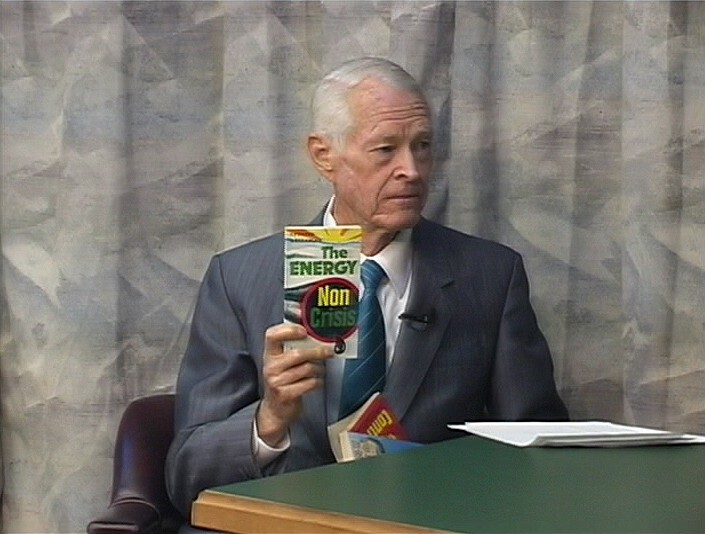 Also the video discussed investing in paper gold EFT and mining stocks and Pastor Williams only suggests people invest in tangibles such as physical gold and silver. However, if you are considering investing in gold and silver what was laid out within the video was very important and echoed what Pastor Williams has been saying about the economy as well as the Elite’s plan for humanity and this planet. The second article Pastor Williams shared was regarding a major policy shift at the Federal Reserve. Pastor Williams says “Interest rates are about to rise and this will create many changes”. The article featured a link from The Wall Street Journal called “Fed Wary of Market Complacency” and featured a statement by Martin Barnes, chief economist at BCA Research saying “It is a problem of their own making. They can’t have it both ways. If they want to sustain zero interest rates and push up asset prices, how can they expect to have that with no excesses and no risk taking?” Basically the ridiculous over-speculation and out-of-control lending and high risk bond buying we have been seeing is the result of the Fed’s own policies. In addition to the Wall Street Journal article, two Fed policy makers have said 1) Interest rates will likely need to rise sooner, and by a larger magnitude, than observers believe and 2) Volatility is way to low and complacency is way to high. Kansas City Fed President Esther George warned about rising food, rent and tuition costs, as well as excessive corporate and sub-prime auto lending. She added that while “a gradual path for the federal funds rate is suggested by the FOMC’s projections … it will likely be appropriate to raise the federal funds rate somewhat sooner and at a faster pace.” Dallas Fed President Richard Fisher also added to his recent warnings “Low volatility, I don’t think, is healthy. This indicates to me a little bit too much complacency.” We are facing a new, clear and present danger … the danger that policy gets even tighter, with more aggressive tapering of QE and earlier-than-expected or bigger-than-expected interest rate hikes, or both. In the now well over 600 comments to this post some people still seem unsure of what is happening in the world. There is enough evidence provided by Pastor Williams and many others that should convince you that the Elite want you as a slave to do their bidding. Pastor Williams has laid out the Elite’s plan for decades. Its not a matter of when things will happen, things are happening right now. Unlike others who just expose what is happening and leave you without any idea what to do, Pastor Williams and I have offered solutions that will allow you to survive and even prosper through the global financial crash. The Elite know that the system they have been relying on for a hundred years no longer works and they know a new system must be put in place, hence The New World Order. This is being implemented every day, baby steps to their ultimate goal of World Government. The power and control will remain in their hands and you don’t feature a great deal in their plans since you are merely a commodity to them. The Elite believe they are god and we are merely animals that need to be herded and controlled. You have a real chance to put a spanner in the works, all you need to do is take Pastor Williams’ advice and prepare. 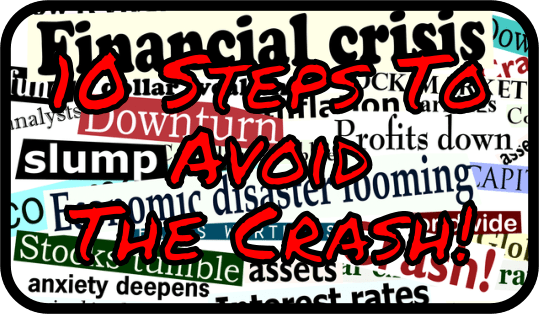 Read the ’10 Steps To Avoid The Crash’ guide I wrote and gave away freely. Its ultimate goal is to tell you to be as self-sufficient as possible. If you want to take back your power, start relying on yourself instead of others. Its a choice you must make, either you start to take control of your life, or let a corporation do it. We don’t need them, they need us to make their plan work. Take responsibility for the safety, health and wealth of your family before its too late. INTRODUCTION: 10 steps to avoid the crash. PART 1: Buy every piece of gold you can lay your hands on. PART 2: You have to get out of debt. PART 3: Get out of paper. PART 4: Pay off your house mortgage. PART 5: Store food, water and firearms. PART 6: Get ready for the biggest buying opportunity of your lifetime. PART 7: Get out of the city. PART 8: Purchase everything you need. PART 9: Sort out your medicine cabinet. PART 10: Get your spiritual house in order. CONCLUSION: 10 steps to avoid the crash – conclusion. Once you have carried out these 10 steps you will be better able to survive, even thrive through the coming collapse. Of course a lot of people’s situations do not permit them to carry out all the steps, just do as much as you can. Being prepared for the worst is the best protection. Please share the articles with as many people as you can, because everyone needs to know what has been planned for them by the elite. Please do not take the article lightly and do not take it at face value. Please do your own research and if you have a differing opinion, please share it. I have also created the entire 10 Steps To Avoid The Crash article into a 100 page illustrated PDF E-Book. Please download and share it freely. Download the e-book here. Economist John Williams says if Russia sells its US dollar holdings, it could trigger hyperinflation. Could it crash the financial system? 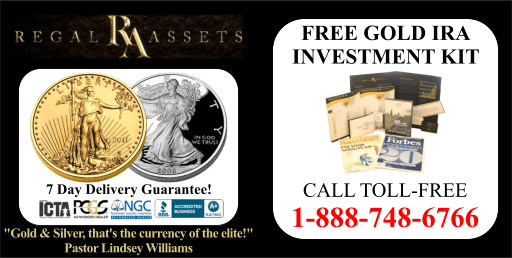 Pastor Williams says “Gold and silver are the currency of the Elite”. If you haven’t already obtained gold and silver to hedge against what could possibly happen in the next few days or weeks, contact your trusted gold bullion dealer today. Or contact Regal Assets toll free: 1-888-748-6766 or visit their website for larger investments in gold including IRA rollovers; Visit GoldSilver.com for medium investments in gold and silver; or contact Mills Crenshaw for small unit gold and silver: 1-801-706-2256. 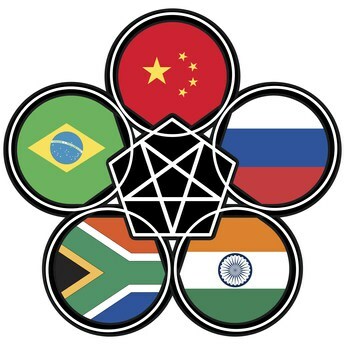 Over the past few weeks I have been gathering information from numerous sources regarding the Global Currency Reset as well as other stories of note relating to the global financial crash. I have shared some articles with Pastor Williams and asked his opinion and feedback based on what his Elite friend has told him. Please listen to the latest radio interview with Mills Crenshaw. This is the first interview Pastor Williams has had talking about the total global financial collapse and the global currency reset and therefore it is recommended listening. Many prominent researchers have been talking about the Global Currency Reset you only have to put a search into Google for articles being posted on a daily basis. Of course if there are those who say there will be a GCR there are those who say there won’t be. Unfortunately for those who claim that there won’t be a GCR, Pastor Williams Elite friend has told him this will happen. Furthermore, you only have to read the last newsletter I sent out. 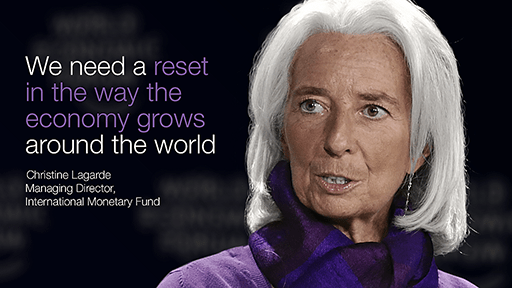 In that newsletter I stated that Christine Lagarde, Managing Director of the International Monetary Fund said at Davos World Economic Forum explicitly “WE NEED A RESET IN THE WAY THE ECONOMY GROWS AROUND THE WORLD”, which means the GCR is planned and therefore WILL happen. The only thing we don’t know exactly is when, what was shared was a time frame that was dependent on the IMF and the Elite. Pastor Williams’ Elite friend said within 90 days from his original statement and that would come into the time frame of a Washington Times article from October 2012 entitled ‘U.S. economy on schedule to crash March 4, 2014’. We will shortly see if this is the date, or if it has been postponed. This will be the greatest financial event that has happened for over 1,000 years and it could happen at any time. So please do not hesitate, prepare yourselves and your family now. The Mills Crenshaw interview [Click Here To Listen] is very important and everyone should listen to it. Pastor Williams told me “I said everything on the Mills Crenshaw [show] that I can say. The last two hours of the show was unexpected. 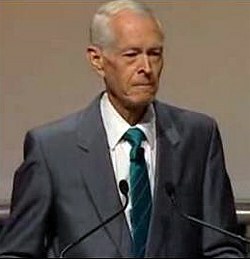 Dr. Rodriguez was supposed to have been on for three hours, but Mills began asking me questions.” The show includes the latest information that Pastor Williams is able to share with us and also warned us not to hesitate with dates because the Global Currency Reset could be weeks or even days away. He said that “Every newsletter is predicting doom and gloom. My Elite friend still insists that the TOTAL collapse is at least one year away.” He also said that he is “…afraid to say anything…” And that his “…record has been so good for many years I don’t want to mislead people so the best thing to do is say nothing.” Relating to Pastor Williams record someone has created a timeline of articles and information that show that he has been correct on multiple occasions. You can check out this record by clicking here. Regarding Gold & Silver Pastor Williams has said that you still have time to get out of paper, but it would be better to do this sooner rather than later. He confirmed that while there will be confiscation of between 30% & 50% of ALL pension funds there will be no controls on gold and silver. However, he had a warning that after the Global Currency Reset gold and silver will increase in value, since the dollar will be reset at between 30% to 50% less than current prices. He said that the Federal Reserve Note is not a store of wealth, but a loss of wealth and therefore encouraged listeners to the Mills Crenshaw show to invest in gold & silver as soon as possible. Although I have said this many times before, it is important to get your financial house in order, there are a few companies I recommend if you do not have a local gold bullion dealer you have an existing relationship with, the first and my own personal recommendation is Regal Assets, they are experts in converting paper IRA and 401k retirement funds into gold, silver and other precious metals. They offer a 7 day delivery guarantee as well as pay the first year dues for retirement accounts, which include all the setup fees, administration fees, storage fees and delivery of metals, saving over $500. Give them a call on 1-888-748-6766 or visit their website where you can see many testimonials of their customers. Another gold bullion dealer I recommend for smaller cash purchases of precious metals is GoldSilver.com. Mills Crenshaw, one of Pastor Williams’ friends for over 40 years and a host of a national radio show also offers small unit gold and silver and can be contacted on 1-801-706-2256. Pastor Williams sent me an article relating to China buying increasing amounts of gold. The article entitled ‘China Declares War’ published on February 20th, 2014 said that in 2013 while the US was busy being caught up in the stock market bull run and with gold offering lacklustre results in 2013 that China never waned and continued to increase purchasing of gold to historic levels. The article goes on to say that China is expecting today’s crumbling fiat currency system to come crashing down and that is why they are pro-actively preparing for a complete reformation of the international monetary system and that those with the most gold will yield the most power when that day comes. The article concluded about China wanting the SDR (Special Drawing Right, a type of money for governments), because it is not the US dollar. It is issued by the IMF (International Monetary Fund). China is using its willingness to lend money to the IMF to purchase SDR notes and give the IMF money to bail out Europe in order to obtain more votes in the IMF. Its increase in votes would make China the second largest member of the IMF after the United States. The article went on to say that the US is opposing giving China more votes, but Christine Lagarde (Head of the IMF) is pushing to increase the Chinese role. China wants to get rid of the US dollar as the global reserve currency and replace it with the SDR. Finally the article said that China were not planning to use the Yuan to leverage power, instead China is planning on using gold. Another email Pastor Williams sent to me was relating to Government document FT900. 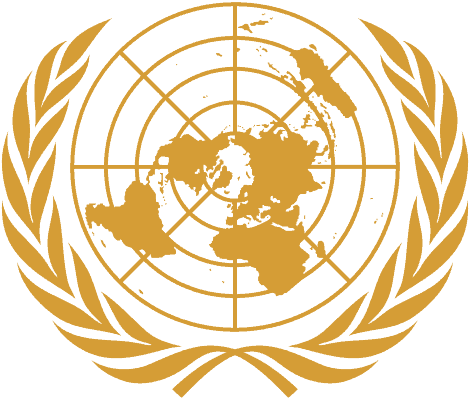 In this document is a category called “Miscellaneous Commodities” relating to the importing and exporting of gold that is well above what the US should be capable of exporting since 1991. The researcher used data from the Gold Fields Mineral Services, the US Census Bureau, the US Mint and Bloomberg to determine the US total demand and supply of gold over the past 20 years. The research said that the US had 7,532 tons of gold available for consumption, but the US consumed 7,605 tons of gold. Therefore the US consumed more gold than was available and therefore it implies that the US should have been a net importer of gold. The researcher then revealed that the US exported 5,504 tons of gold. Ultimately the researcher concludes that there is an unexplained supply gap of 5,577 tons of gold and that the Federal Reserve is the only institution capable of supplying such a large amount of gold. 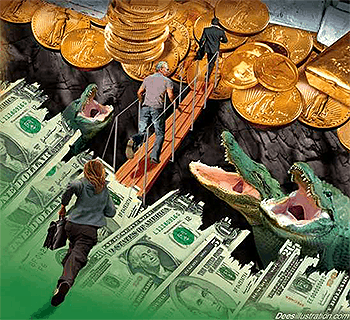 The researcher said that if the Federal Reserve disclosed that most of the gold reserves in the US were gone, it would lead to a major crisis of confidence in the US dollar and US government bonds. This could be the reason the Federal Reserve refused to allow Germany to independently audit their gold reserves held in the US after the US said it would take 7 years to return Germany’s gold. 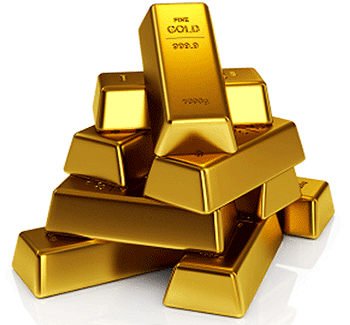 The last audit of gold stored in the US took place in 1953. 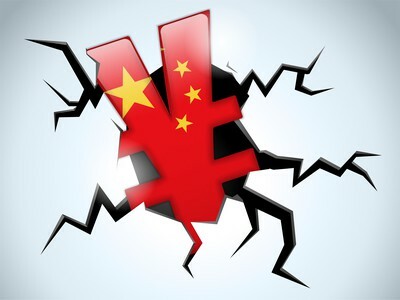 The researcher claims that when China releases its five year gold storage statistics that it will send ripples through the financial system. I’ll let you make your own mind up on this one, click here to read the report. Even the UK mainstream media is warning of this new stock market bubble in this article ‘This Is No Recovery, This Is A Bubble – And It Will Burst‘, saying ‘Share prices are high mainly thanks to quantitative easing not because of the strength of the underlying real economy’. If you have not already watched Pastor Williams’ DVDs ‘Elite Emergency Data’ and ‘Global Currency Reset’ please obtain copies, watch them, take notes and then share the DVDs with friends and family. Also be sure to read and download a copy of my free ‘10 Steps to Avoid the Crash!‘ e-book. It will explain what is happening and how you can protect your health as well as your finances.